Well, I got a new toy. I bought a Google Chromebook. They're cheap. I didn't get the cheapest, though. I bought an HP Chromebook 11 with LTE capability (Verizon) from Best Buy. It was on special for $250. You can find some cheaper -- some a lot cheaper -- but this was the one I decided upon, and it's the one I'm gonna talk about. The Chromebook is a pretty good little device. If you have a Google account, like a Gmail account, and use the Chrome browser, you'll feel right at home using one. Essentially, it's a laptop. It helps to have Internet service. In fact, it pretty much depends on your having Internet access. That's why I got the LTE version, so that if I want to use it away from a WiFi network, I have full functionality. Of course, if you have a phone that can also work as a hotspot, you can save a few bucks and get a WiFi-only device. Of course, those cost less. Everything runs in a browser. Sounds odd, I know, but they make it work. I can't speak to your everyday computer usage, but mine is pretty much browser-based. But, I do use Microsoft Word and Excel on a regular basis. Chromebook works with Word Online (that's a Microsoft-supported thing) and Excel Online (again, Microsoft). I'm writing this review using Word Online, and will copy it into WordPress when I'm done for posting on the blog. One thing is something that I really don't use a lot is a printer. It's been over a year since I printed anything. However, I did set up and test using Google Cloud Print via the Chromebook. And, it works. One drawback is that a printer can only be tied to one Google account. I suppose that's fine for most people, but that would also be an issue for a family Chromebook, where it has multiple users (and accounts) in the household. Or multiple Chromebooks. Suppose Dad was logged in to the Chromebook and registered the family computer to use his Google account. Then, he logged off, and Mom logged on. She can't use that same printer. Then if Junior logged on, he'd run into the same thing. Sissy, too. Google needs to come up with a solution to that. I use iTunes. However, there is no iTunes for Chromebook. I can upload my music to Google Play Music, but not movies or TV shows. And, to be honest, I really don't want to hassle with copying thousands of songs to Google Play; I'm not going to drop iTunes. While I don't use Skype much, I do use FaceTime. Neither are supported. Google Hangouts works, though, and actually works okay. I had never used it before testing it out on this Chromebook. So, it is an option. Kinda. But, really, who uses that? There are also image editing tools available. The tools work as well for standard image editing. It's not Photoshop, but neither is anything else. Well, except Photoshop. So, many of the applications I use (and many people use) have equivalents, but not all of the equivalents are what I want to work with. Primarily, it's Google Hangouts and Google Play Music that I'm not too fond of. The others are okay. The 100 GB Google Drive account (online storage) that comes with it is pretty nice. And, you can save some content locally. How much depends on what size drive you get. I got 16 GB; most come that size. They've done a good job of making it not just possible, but easy to save photos, documents, and such. What all that means is the Chromebook won't work as a primary computer for all my needs. But, for many users -- those that primarily do the Facebook and the email thing -- it's perfect. I've been using it as a travel computer. I went out of town a couple of weekends ago, and took the Chromebook and my MacBook with me. None of the computer stuff I did for myself needed the MacBook. I did all my personal computer stuff on the Chromebook. For the past week, I've been using the Chromebook as my regular computer. I've written all my blog posts, checking out the Facebook, reading and writing email, and everything else I would normally do with my MacBook, and it served well. The battery works well. I've not run it down all the way yet, but I have been charging it each night. Or most nights. As it stands now, it's my new travel computer. And my quick, go-to computer for sitting on the couch. I like it. I've had the samsung chromebook for about a year now. It has the 16gb ssd. Boots in about 10 seconds. Weighs under 2.5 pounds so it's ultra portable. It's awesome for what it is. Email, IMAO and beatlesbible. The browser based OS took about 5 minutes to get used to. After proving that the most destructive force to computers known to man happens to be my wife, I finally opted to get one of these for her over a year ago thinking it's simple, hard to mess up, and cheap enough that I don't mind replacing it annually. So far it has worked for her without any problems. I highly recommend it for people who use a computer for little else but internet and email and such. My question - is that a full-sized laptop keyboard, or is that one of those "can't touchtype on it" netbook keyboards? Also, can you put more RAM into it than the standard 2GB that it comes with? Full keyboard. And, it's a good keyboard. Trackpad is better than anything I've seen on a PC laptop. Integrated button, like the MacBook. Ability to do the tap-to-click like Windows or press-to-click like Mac. Two-finger scrolling, with Windows style or Mac style (they're opposite; Google calls it "Austrailian scrolling"). Two-finger right-click. Really easy to get used to and use. As for RAM, no. But, considering all apps are server-based, you won't encounter out-of-memory issues. If there's an app for it, it should work. Unless you're looking to edit a 2GB file. And, the Celeron processor is sufficient. Shocked me. For instance, if you use a Celeron PC to stream a tab to Chromecast, it don't work well. Stutters, dropped audio. You need at least an i3 for that. But, this Celeron Chromebook streamed a tab (Hulu free content) to my Chromecast with no issues. Shocking! Intel is still making the Celery? I once bought two Celery-based PC's for my kids. Ran W98 like tops. Was always impressed by that low-power chip. How much are you paying for the data? I have Verizon's More Everything plan. That's the current model they want everyone on. It's so much for a bucket of data, and so much for a device to be on the plan to use the data. If you're have one of the older, unlimited plans, it's not easy to put a device like this on it. i'm paying $100 (less work-related discounts for which I qualify) for 10 GB/month data. I'm paying $40 for each smartphone to access that data (unlimited talk & text), less $25/each phone that is on the Edge plan (I have 2), plus $10/month for the Chromebook. I could save $10/month on the Chromebook if I just used the hotspot on my iPhone. Getting a Verizon plan just for the Chromebook probably isn't a good idea. 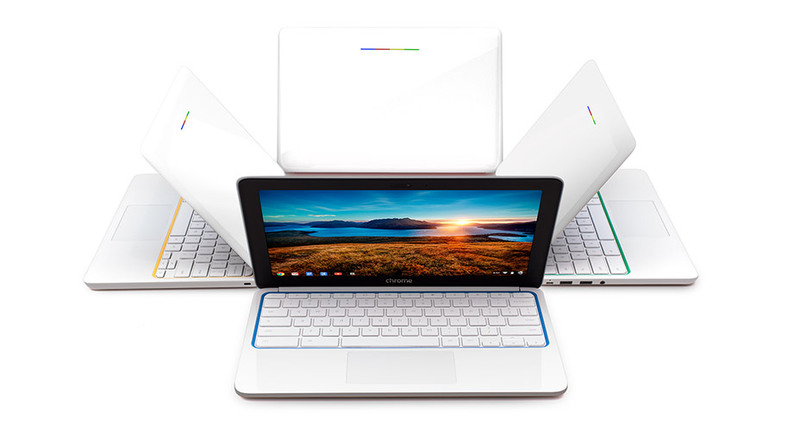 If you have one of the older plans, I don't think it's cost-efficient to change you plan just for the Chromebook. If you have another carrier, I'd use the hotspot/phone method if possible, since the two major phone OS support that. I got the LTE version because it was cheaper than the WiFi version (Best Buy had a promotion), and I'm not committed to keep it on my Verizon plan beyond the first month (coulda saved even more if I had, but I'd've been committed to a two-year plan). I'm undecided on keeping the LTE service on it active. If it did keep it for two more months, I'd still break even. The HP Chromebook 11 your are reviewing uses a Samsung Exynos 5250 ARM processor, which I hear, is not up to the job. I have a Toshiba Chromebook which uses the Intel Celeron Haswell processor, and it has plenty of power for Chromecast, no stutters or dropped audio. It also has an SD card slot so I can increase the storage if need be. I'm able to print with to my two year old HP Photosmart printer. It's ePrint wireless enabled. I don't think it has the same user limitations as Google Cloud Print. Setting it up was very easy. It took less than a minute. This Chromebook loads pages faster than my iPad or my Windows 8 desktop, with an Intel i5 processor and 8 GB of RAM. I love it! You are correct. I was mistaken about the processor. In the Best Buy, I was looking at the both the HP 14 and the HP 11, before opting for the 11. I remember seeing in the store that the HP had a Celeron, but now that you've pointed out my mistake, I researched and found that it was the 14 that uses the Celeron. I knew I wasn't crazy about thinking that I saw Celeron on the specs; it was the other HP that had the Celeron, not the one I got. I've configured it with both the Cloud Print capable printers (like your HP Photosmart ePrint) and older printers. You have to configure the older printers using a Mac or Windows machine running Chrome, but it's easy enough. I'm impressed.